L-KOPIA started two major surveys in August. First in Iowa USA on August 14th and then in British Columbia, Canada on August 28th . We have two of our laser trucks involved and both surveys are for the same large Canadian Railway customer. We have uploaded some of the USA data to our customers Mainframe and we will continue both fieldwork and post processing after Labor Day weekend. 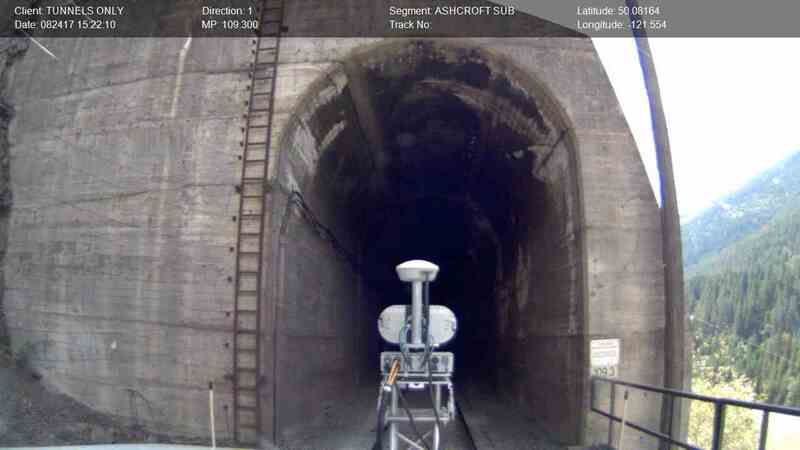 The L-KOPIA clearance car at one of the many tunnels on Ashcroft Sub in British Columbia, Canada. LKO is continuing surveys for Swedish Rail Track Administration (TRV) and TRV contractors all over Sweden. Per Arne Pettersson and Henrik Lindh are at present performing all surveys in Sweden. Mats Johansson is our main TRV post processing man. 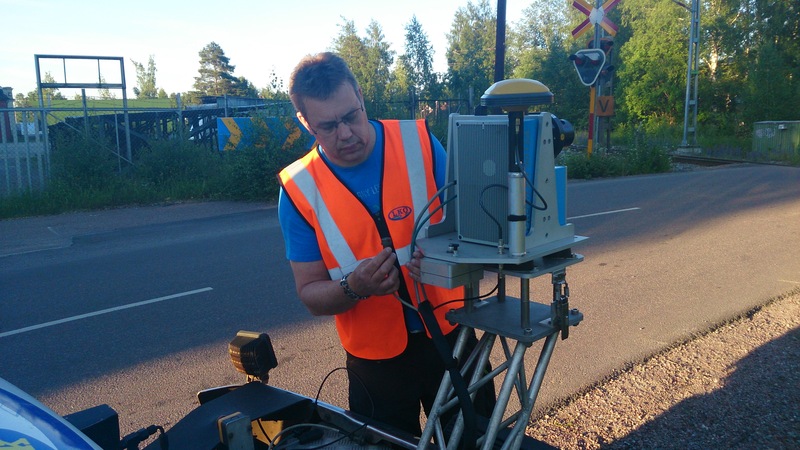 Per Arne Pettersson of LKO connecting the Z+F scanner on the LKO Tristar Clearance Truck while waiting for track time at a road crossing outside Falun in Sweden. Please contact us for any questions on the August newsletter.